Have you seen the beautiful salt lamps in our shop window? We’ve been carrying them for the last year. Why, you ask? Because… 1- We had space to fill in our new location. 2- I wanted to add more products that fit in with our natural living goal. 3- I loved their beauty and their health benefits. I did a lot of research leading up to carrying them in the shop. First, I looked all over the internet for what caught my eye, what I thought was pretty. And the natural blocks/choppy cuts of pure himalayan salt were my favorites! Then, I sought out the best-rated companies that were selling wholesale. WBM was always at the top of the best of the best lists! Affordability was important. I wanted several different sizes to be available to me. And I wanted to make sure they had dimmer switches. So, they’ve been on our shelves in the shop… they’ve been in our home (in just about every room)… and they’re waiting to head home with you! 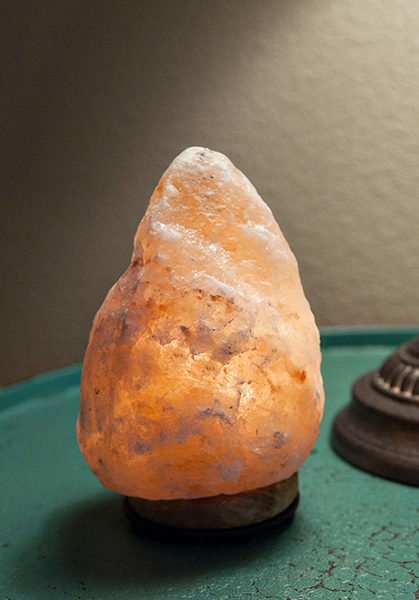 Now, what is a Himalayan salt lamp? Himalayan salt lamps are made from pink salt crystals mined from the edge of the Himalayan Mountains (the only place where you can acquire authentic Himalayan pink salt). After they are mined, they’re hollowed out and fitted with a bulb to provide both light and heat. 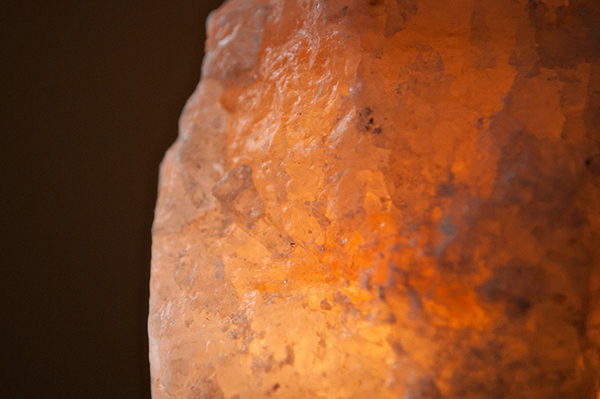 How do the salt lamps work? What are the benefits? Salt is hygroscopic, which is a scientific word meaning that salt attracts water molecules from the surrounding environment. 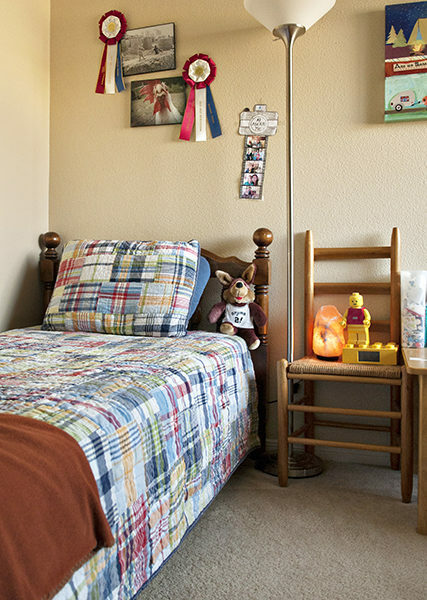 Water molecules float around in every room in your home. However, water molecules aren’t the only invisible substance hiding all around you. Alongside these water molecules are dust, pollen, mold, and other allergens. Even bacteria and viruses can hitch a ride on these water molecules! 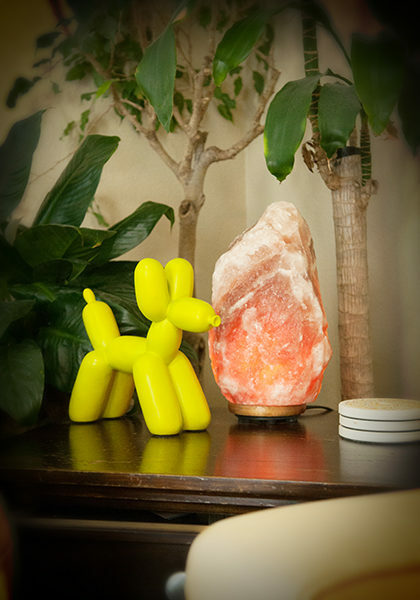 A large block of salt, like a pink Himalayan salt rock crystal, works by attracting the water molecules in your room. In so doing, it also pulls in all the pollutants and contaminants attached to these molecules. 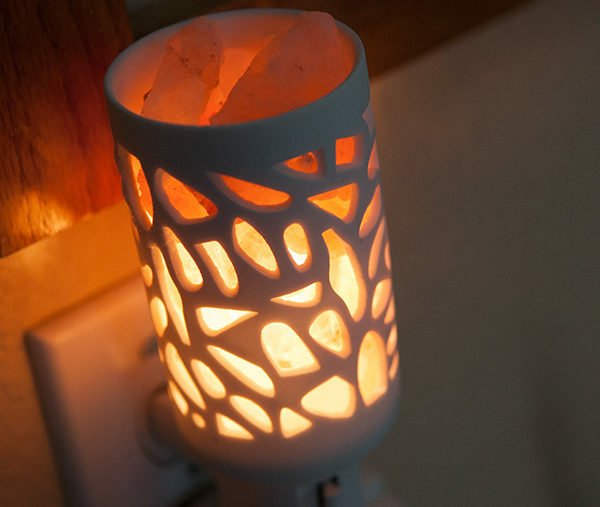 (Essentially, the salt rock lamp helps to detoxify your room by capturing and holding these particles so they aren’t left floating around for you to breathe in.) Then, as the bulb heats the lamp, the water vapor is released back into the air, but the salt lamp retains the contaminants. So what does this mean for you? Purified air and ease in allergy and asthma symptoms! 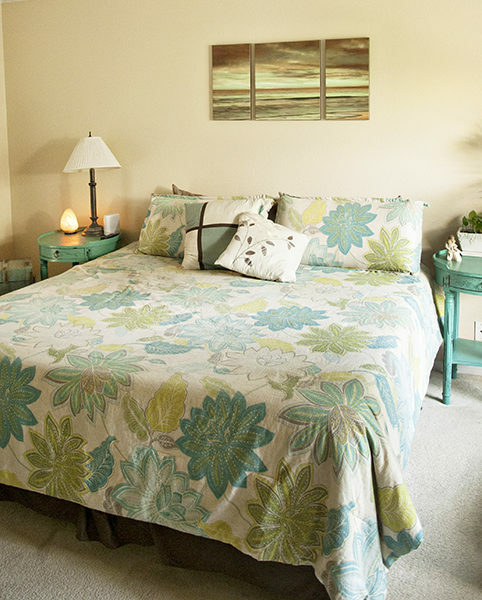 A healthier home! An added benefit, Himalayan natural salt lamps are also said to release negative ions into the surrounding environment, combating all of the positive ions emitted in our homes through our appliances and electronics. What could this mean? An increase in energy levels, reduction in stress, and better sleep! A healthier you! Now that you want some, what do we have available to you? Of course we can ship. But they are HEAVY… and shipping costs can get crazy! So come on by!